Heard of The Timewaster Letters? The spirit of subversive comedy and the character of the concerned, fussy British consumer that they capture make them just the thing to lift your spirits on a dull winter day. Sadly, the responses to the first batch of Plastic Waster Emails are not so funny. In the first few weeks of 2018, acting on a rare new year’s resolution, I wrote to a select number of manufacturers whose use of plastic packaging struck me as excessive. And now, with the responses in (or not, as the case may be), I am able to provide a snapshot of how companies are responding to the plastic crisis. 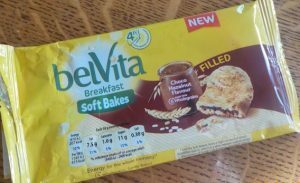 First up, Mondelez, the manufacturer of Belvita Breakfast Soft Bakes. Now, I did not buy this product. I repeat, I DID NOT BUY THIS PRODUCT. 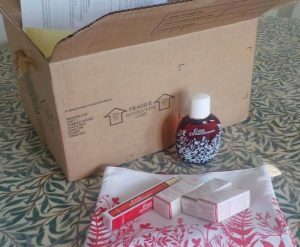 It dropped through the letterbox one December morning, a sturdy cardboard box containing the plastic wrapper you see in the photo. Inside the wrapper were two small biscuits – 4-6 bites’ worth, depending on the size of your mouth. I ate them, and marvelled at the packaging involved in providing such a tiny amount of food, presumably delivered quite widely in a marketing drop to the neighbourhood. 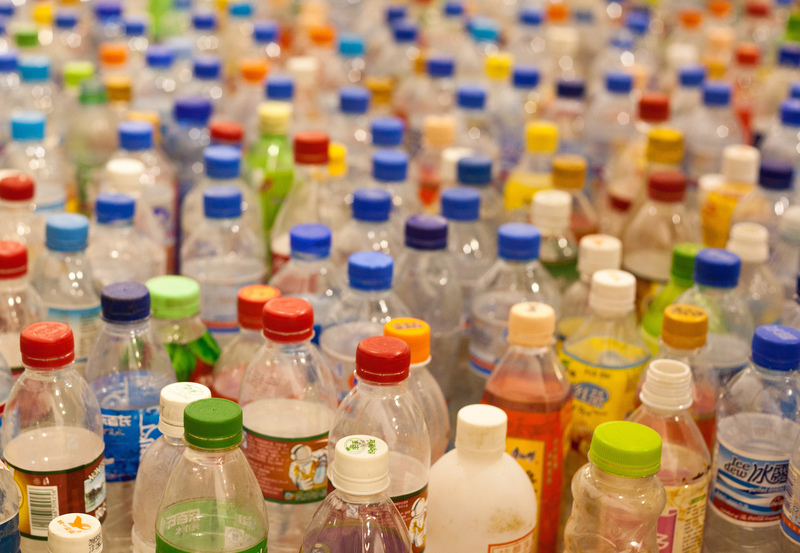 We’ll continue to lead the way in reducing packaging waste and plan to eliminate 65,000 tonnes of packaging material by 2020 to help reduce waste. Collaboration across our R&D, category and region teams between 2010-2014 resulted in more than 600 projects that eliminated packaging; we eliminated 40,000 tonnes (89 million pounds) of packaging, exceeding our target by 78 percent, and saving an estimated 100,000 tonnes of annual CO2 emissions. Second up: Aldi, the supermarket where I do my main shop. I had received as a Christmas gift a box of their own-brand chocolates which were really quite nice. 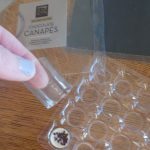 But what I noticed about the Moser Roth chocolate canapes was that each and every one was wrapped in a roll of its own plastic in addition to the plastic tray, which sat inside the plastic box housing the whole concoction. So I wrote to Aldi and asked them whether all that was really necessary. And guess what? The reply was very similar to the one cited above. Then I wrote to Rankin Selection about the way they package their Irish soda bread. I’ve been buying this for years, making special trips to the supermarkets which stock it. But now I will do so no more, because the bread comes not just in a plastic wrapper but also one of those brown, non-recyclable plastic trays. I put this to Rankin. Answer came there none. Finally, I wrote to Clarins. I’ve been a customer, (funds permitting), for years, and never tire of their brand-leading scent Eau Dynamisante. But within days of the sales starting, the department stores had sold out of the reduced product so, for the first time, I ordered the 100 ml bottle online. Thank you for your email and many apologies for our delayed response. We are very sorry to learn of your disappointment with the way your online order was packaged. 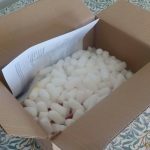 We can advise that the foam peanuts included in the parcel are made from corn-starch, not polystyrene and they are fully bio-degradable to align with our sustainability and environment value. The peanuts can be dissolved in water, or alternatively put on a compost heap. Please let us know if you require any further information or if we can be of any further assistance. Refreshing, huh? 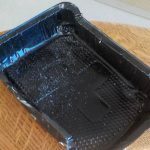 It was too late to retrieve the chips from the bin and put them on the compost heap – I did try – but this just goes to show: better approaches to packaging and to customer enquiries are well and truly possible. Watch this space for the next instalment of The Plastic Waster Emails.